Caleb Green and Sarah Jane Green are my 3x great grandparents, the parents of my 2x great grandmother Elizabeth Anna Green. Caleb Green was born February 1, 1832. He is the son of John Green and Talitha Cumi Adams. Sarah Jane Green was born April 16, 1835. Many people list Sarah Jane’s last name as Sly. I can’t find any record of that. Her marriage record indicates that her last name was Green and that her mother Leah Green gave consent. I can’t find a Leah Sly in the area, but I do find a Leah Green. Leah would have been 46 when Sarah was born, so she could be her mother. On the 1840 US Census for the family of John Green and Leah Dunn, there are no girls under age 10, so perhaps they were actually her grandparents. I am going to consider them to be her parents for now. Sarah’s maiden and married last names were both Green. And, both her and Caleb’s fathers were John Green. But definitely different John Greens. On the 1850 US Census, there was a 16 year old Sarah Green who lived with merchant Ephraim Griffith in Harrison County, Indiana. Emphraim’s wife was Mary Rusk, and there is a young man with the last name of Rusk living in the home too. I wonder if Sarah Green is a niece of this couple – Ephraim’s sister could have married a son of John and Leah Green, and died prior to 1850. It’s just a theory. This Sarah was 15 and living 100 miles away from John and Leah Green. I can’t find Caleb on the 1850 US Census, but Caleb’s suspected mother Talitha Cunie, now married to Benjamin Sly, was in Harrison County, Indiana. Caleb and Sarah married on December 13, 1853 in Harrison County, Indiana. Caleb was 21 and Sarah was 18. In 1854 they had a daughter and named her Talitha Leah, after both of their mothers. On the 1860 US Census, Caleb was 28 and Sarah was 25. They were farming in Scott, Harrison County, Indiana. They had 3 children: Leah, age 5; Mary, age 4; Elizabeth, age 2. From 1862 – 1865, Caleb fought in the Civil War with Company D, 58th Indiana Infantry Regiment. On the 1870 US Census, Caleb was 38 and Sarah was 35. They were farming in Monroe, Pike County, Indiana. They had 8 children in the home: Talitha, age 16; Mary, age 14; Elizabeth, age 12; Harriet, age 10; William, age 8; Jane, age 5; Martha, age 3; James, an infant. On the 1880 US Census, Caleb was 48 and Sarah was 46. Caleb was a farmer and preacher, and the family lived in Monroe, Pike County, Indiana. They had 5 children at home: William, age 18; Irena, age 14; Martha, age 10; John, age 8; Fanny, age 4. Caleb died on January 19, 1892. He was 59. His Find A Grave memorial is here. On the 1900 US Census, Sarah was 65 and widowed. She lived in Columbia, Gibson County, Indiana with her widowed daughter Fannie Richey, Fannie’s son Walter, and another grandson, Floyd Julian. Sarah reported having had 11 children, with 7 of them living. 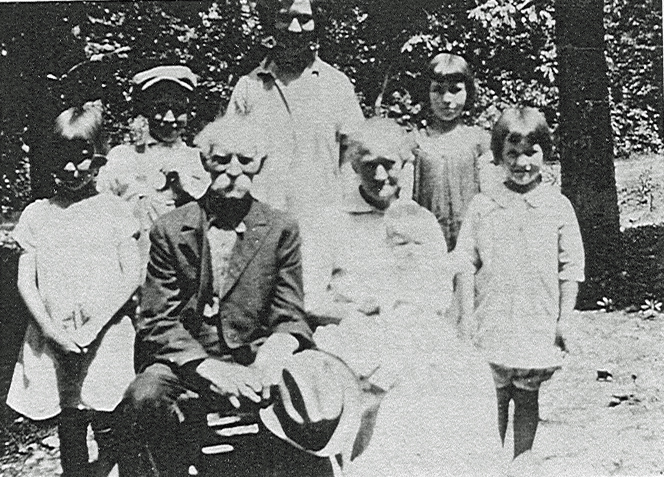 On the 1910 US Census, Sarah was 75 and lived in Greer, Warrick County, Indiana with son John W. Green, and his wife and children. Sarah died on June 27, 1913 in Oakland City, Indiana. She was 78. Her Find A Grave memorial is here. Talitha Leah Green – Talitha was born December 26, 1854 in Harrison County, Indiana. She married Josiah McGregor on February 25, 1875 in Pike County, Indiana. They had 10 children. Talitha died on December 8, 1932 in Princeton, Gibson County, Indiana. She was 77. Her Find A Grave memorial is here. Mary R. Green – Mary was born about 1856 in Indiana. She married Benjamin Franklin McCord on March 30, 1897 in Pike County, Indiana. He was widowed and had 2 children. Mary and Benjamin divorced, and married each other again on December 17, 1909. Both indicated their previous marriages had ended in divorce in April 1909. On the 1910 US Census, Mary and Benjamin lived in Patoka, Pike County, Indiana with Benjamin’s son from his first marriage. They reported they had both been married twice, and had been married 13 years, and Mary had 1 child (unknown). Benjamin died in January of 1912. Mary married Oliver Ambrose Kelsey on December 21, 1912 in Pike County, Indiana. Their marriage record indicates that Oliver was widowed and that Mary had been married twice, once divorced and once widowed. She died in 1941. She was 84 or 85. Her Find A Grave memorial is here. Elizabeth Anna Green – My 2x great grandmother Elizabeth was born June of 1859 in Indiana. She married Marcus McDonald Richardson on March 11, 1875 in Pike County, Indiana. They had 4 children. Elizabeth died October 25, 1939 in Reeds Spring, Stone County, Missouri. She was 80. You can see her Find A Grave memorial here. Harriet P. Green – Harriet was born in 1860 in Indiana. She married James R. Wilkerson on February 10, 1880 in Gibson County, Indiana. They had 3 children. She died in 1904 in South Dakota. She was 43 or 44. Her Find A Grave memorial is here. William E. Green – William was born in about 1862 in Indiana. He married Pauline J. Faries on January 30, 1884 in Indiana. That is the last record I have of him. Arena Jane Green – Arena was born July 9, 1865. She married James Jackson Julian on March 27, 1887 in Gibson County, Indiana. They had 2 children, one who had already died, and Arena may have died in childbirth. She died June 20, 1897. She was 31. Her only living child, Floyd, lived with her parents on the 1900 US Census. Her Find A Grave memorial is here. 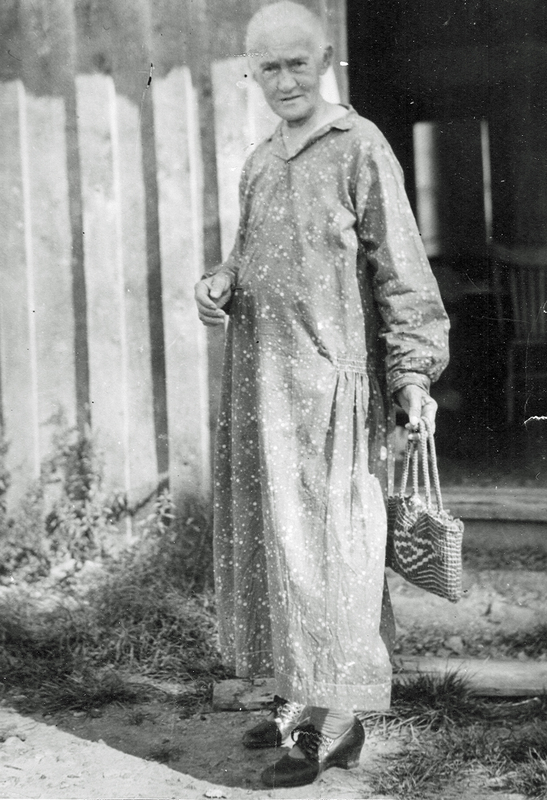 Martha Green – Martha was born about 1867 in Indiana. I have no record of her past the 1880 US Census. James Green – James was born in about April 1870, according to the 1870 US Census, which is the only record I have of him. John Green – John was born September 30, 1872 in Indiana. He married Laurinda Mason on June 6, 1896 in Indiana. They had 4 children. He died October 3, 1937. He was 65. His Find A Grave memorial is here. Fannie Mae Green – Fannie was born on July 7, 1876 in Indiana. She married James Butler Richie on August 7, 1894 and they had a son named Walter. She was widowed in 1898 and lived with her parents on the 1900 US Census. On October 3, 1908 she married George Riley McMurty in Gibson County, Indiana. Both had been widowed. They had 2 children. Fannie died on June 8, 1946 in Boonville, Warrick County, Indiana. She was 60. Her Find A Grave memorial is here.